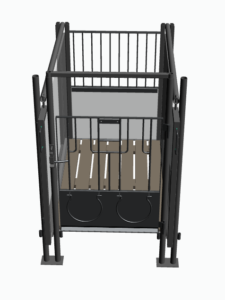 Growing calves need a soft and dry bed for laying down. It is very important separate calves in the first phase of their lives, primarily to prevent infections. 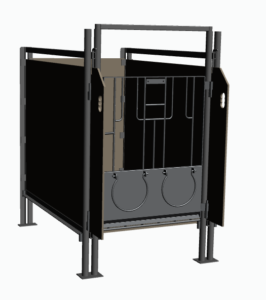 Our calf box is of a simple and durable structure, which ensures the calf’s easy access to milk, water, and food. 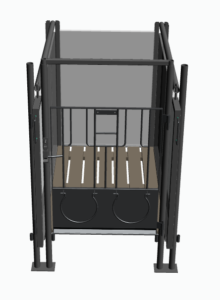 The calf box has an impregnated wooden grate floor, which is easily removable and cleanable. 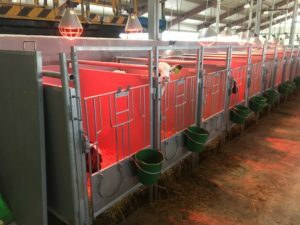 It is possible to attach a single- or double-sided hey basket to the calf box and a bucket in front of the calf box. 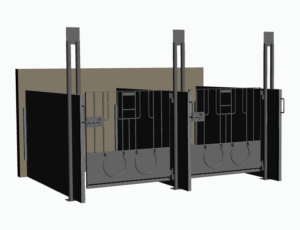 Calf boxes of removable plastic walls for concrete floors. 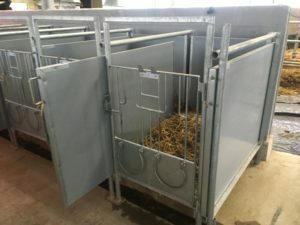 Module calf boxes of various sizes can be ordered, e.g., in the case of placing calf boxes in three rows, it is advisable to use a lower back wall for the calves to be able to have eye contact with one another. By using calf boxes of removable walls, it is possible to expand the room for the calves in the box. 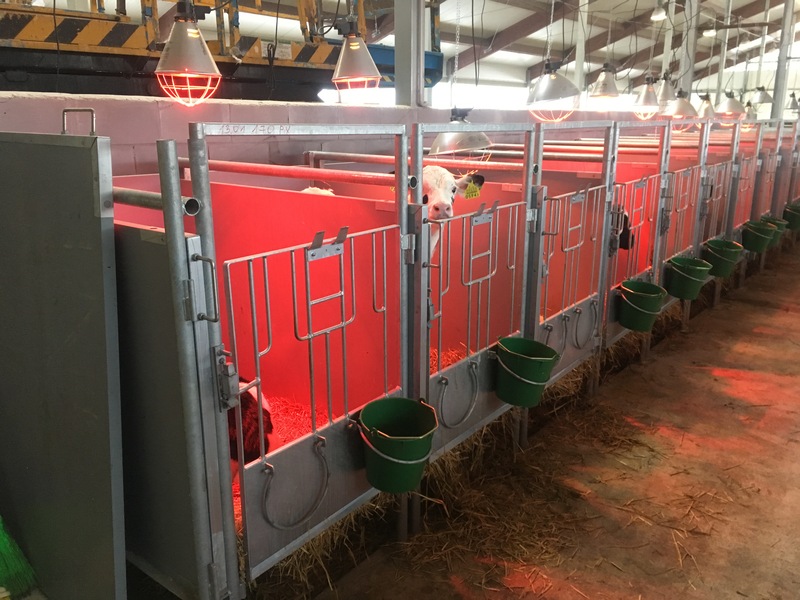 The advantage of calf boxes with grate floors is the fact that liquids run out through the grate and the calves can always lay on dry and clean ground. 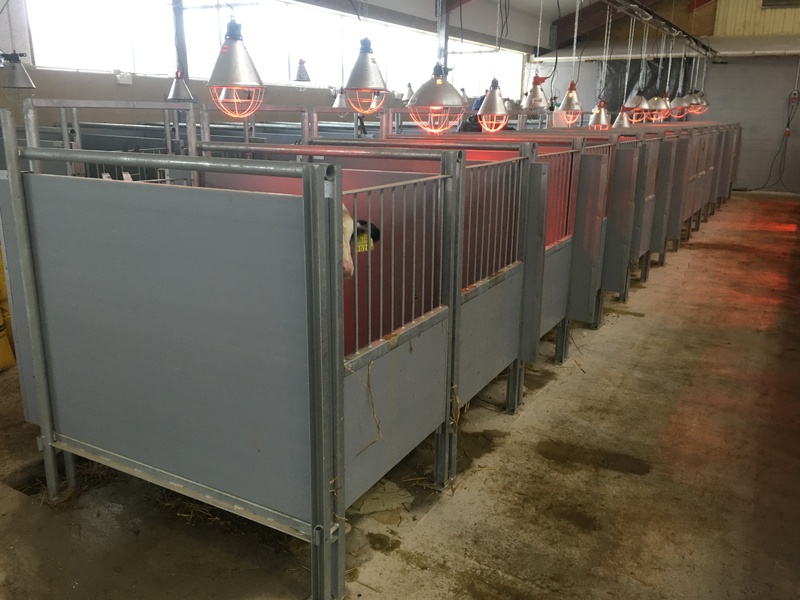 Optionally, all calf boxes can be equipped with clasps for hanging drying lamps. 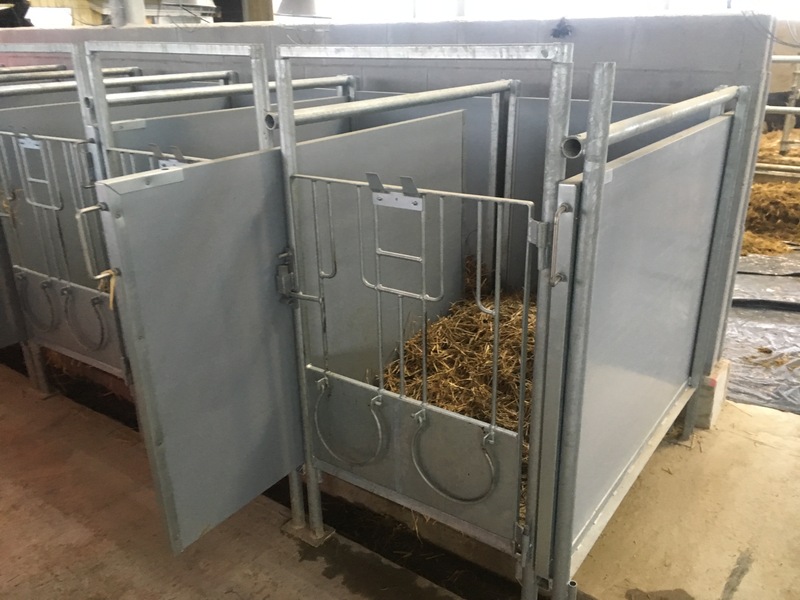 Removable calf box side walls are available with different heights – 1 m or 1.25 m.
Standard equipment: front frame, back frame, front gate with bucket handles, back wall, partition wall, bottom grate, and metal note holder. 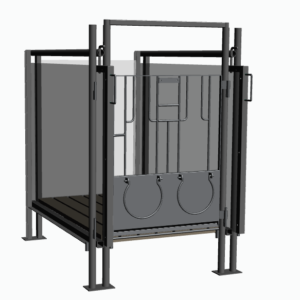 Additional equipment: single- and double-sided hey baskets, bucket, bucket with a dummy, elements for fixing a bucket with a dummy to the wall, open plywood back wall with hinges and a lock, wheels with stoppers. Copyright © 2019 Fesma. Powered by WordPress. Theme: Spacious by ThemeGrill.